This is a guest post by Howard County Master Gardener Kent Phillips. Kent’s blueberry cage was featured in an earlier post, and you also may have seen him in several of our food gardening videos, including the one embedded below. Believe it or not, now’s the time to start planning for your fall vegetable garden. The most important fact to remember is that in the fall, you have to work backwards in timing your plantings and plants mature more slowly in cool weather. When using transplants, the following procedure is applicable. For example, if you want to grow some broccoli, cauliflower, collards, lettuce, etc., you need to subtract the days to maturity from your production date and allow several extra days for slower maturity. Assuming I want to grow some Packman broccoli which matures 50 days after transplanting. I would add 5 extra days for slower fall maturity and plan to harvest in about 55 days from transplanting. Assuming I want the initial harvest (don’t forget broccoli produces lots of smaller side shoots for a continuous harvest) around October 15, I would subtract 55 days from that date. This means my transplants should go in the ground around August 21. Since it takes me 5 to 6 weeks to grow my transplants, I should start my broccoli seeds around July 10. This procedure works for any crops you are transplanting into the garden for fall harvest. For direct seeded crops, the process is similar but you don’t have to allow for the extra time needed to raise transplants. My favorite fall spinach is Bloomsdale Long Standing. This spinach reaches maturity in about 45 days. I would allow approximately 5 days for slower maturity and if I want to start picking spinach around October 1, I would direct seed the spinach around mid-August. 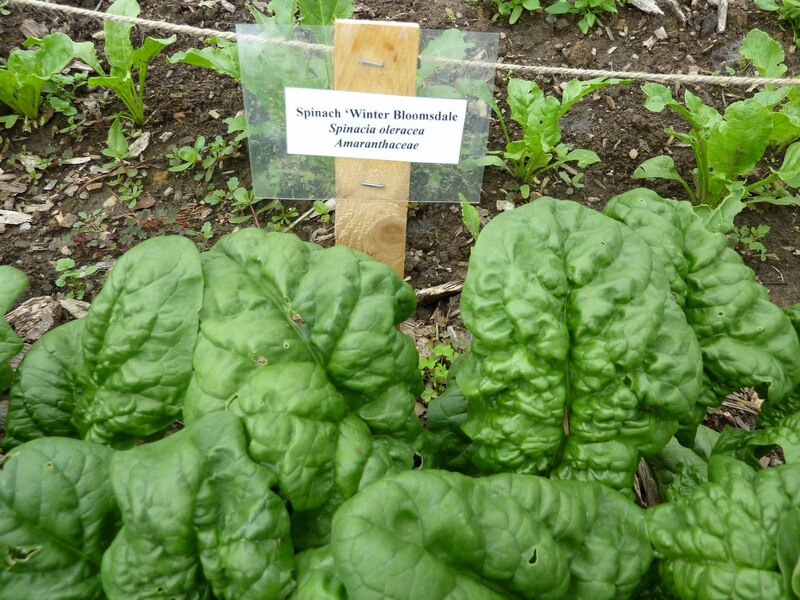 With spinach, I usually plant a second crop around September 1 which will winter over and start producing spring spinach as the weather warms up. If you cover the spinach with a row cover, low tunnel or cold frame, you can get later harvests in the fall and earlier harvests in the spring. This same procedure can be used on kale, without the added protection of a row cover, etc. Other crops that can be direct seeded or planted for fall harvest are lettuces, radishes, turnips, beets, potatoes, carrots, turnips, butternut squash, etc. For vegetables like butternut squash and parsnips that have a fairly long date to maturity, these crops would have been planted in June. Great post! I am only new in gardening and it really helped me planning for my new food garden. Thanks for the information! Thanks for the post. It is informative and really helped me a lot in adjusting my gardening in fall season. Thanks!